New Stuff @ AERO & Co.: Ai for Ai Spring 2011 Presentation at E.P.I.C. Ai for Ai Spring 2011 Presentation at E.P.I.C. LA design duo (and sisters) Elizabeth and Carol Ai channelling outer space with their "Astral Traveler" collection for Spring Summer 2011. 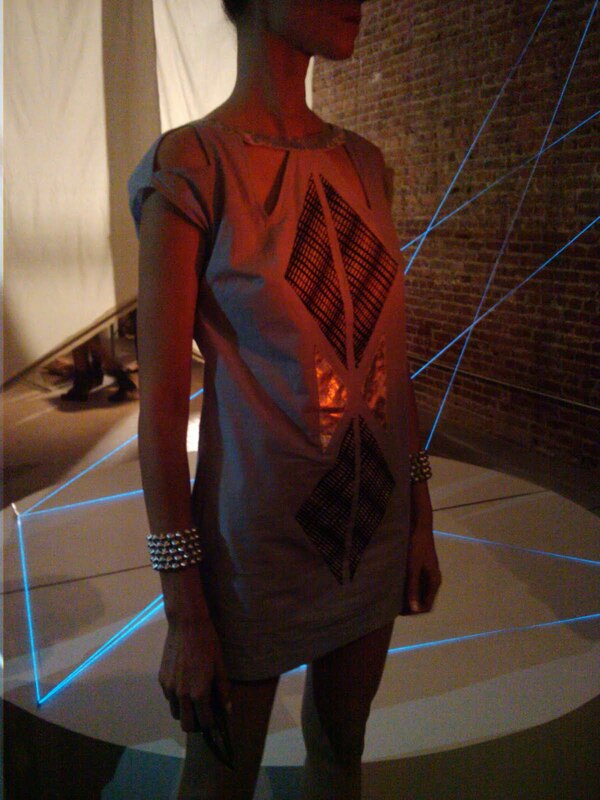 The presentation at EPIC boutique for Los Angeles Fashion Week featured an electroluminescent wire sculpture installation by artist Owen Schmit.